I know I've already reviewed a ton of anime that are crazy as hell...but nothing really stands out like "Kill La Kill". Its over the top, its ridiculous, its stupid, its really, really explosive, and I enjoyed every single second of it. 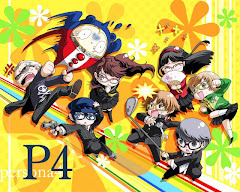 It may not be anything too revolutionary, but its simple mix of great action scenes, a funny visual style and just being completely crazy makes it an anime that can be easily enjoyed by almost anyone....not to mention that it has a quirky sense of humor and some fan service for those who want to see more of our scantily clad heroine. Filled to the brim with crazy characters and insane antics, "Kill La Kill" aims to explode the insides of our minds, and it does exactly just that. Don't expect anything but an action packed good time, and you'll enjoy yourself with this one. Girls in skimpy outfits trying to kill one another...yeap, seems legit. "Sirius" by Aoi Eir is the 1st opening, and honestly, I expected a song from someone else, since something by Aoi Eir doesn't really fit the explosiveness or intensity of "Kill La Kill". It's not bad, and to be honest, its one of her better songs up to this date, though it needs a little more kick to it. "Ambigious" by GRANiDELiA is the 2nd opening, and its slightly better. It has a very techno-ish feel to it, certainly not something I expected, but it fit surprisingly well, IMO. 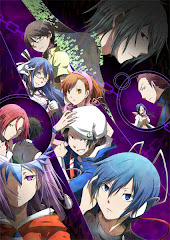 As for the endings, they are not anything special to write home about, to be honest. The 1st ending "Gomen ne, Ii ko ja Irarenai" by Miku Sawai, sounds a bit like an ending to a romance anime, but it has some good beats in it...The 2nd ending " Shinsekai Koukyougaku" by Sayonara Ponytail even goes as far as to sound a little bit cutesy. Not my cup of tea, of course. If you go into "Kill La Kill" with the proper mindset, you really cannot go wrong. As long as you don't expect anything like a spectacular story that will move you to tears or comedy that'll make you laugh till your sides ache, then you'll have a pretty good time. "Kill La Kill" excels at what it does best, which are explosive action scenes filled with tons of dramatic and visual flair. 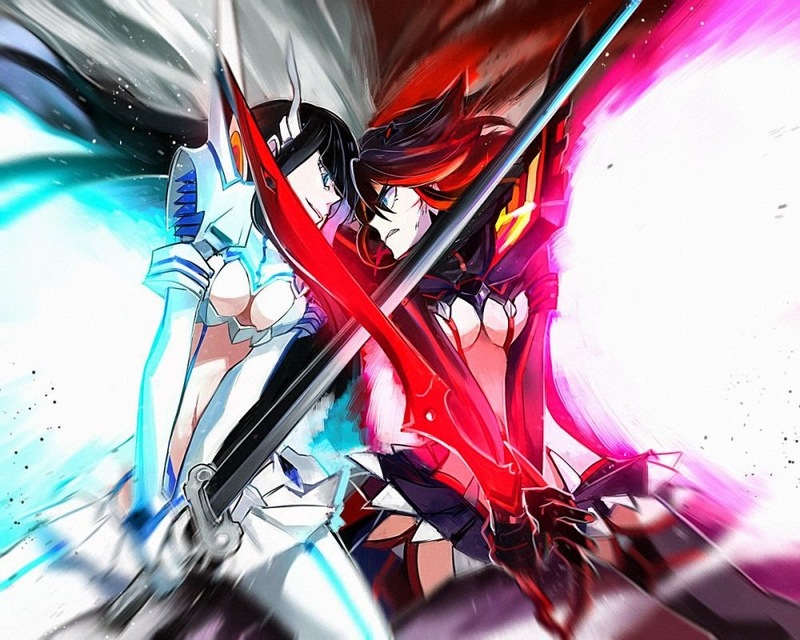 You will be wowed at every fight Ryuko takes against any one of the enemy students, as well as their spirit. 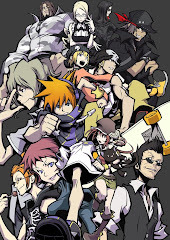 There are a ton of lovable characters, especially on the opposing side, and there's a ton of character development as well, even if it only applies to the main characters. The visual and animation style is pretty damn impressive as well, despite keeping a little bit of a vintage style in there. What would you do if you see a girl in a skimpy costume lying unconscious on the street? The story focuses on Matoi Ruko, a transfer student on her way to Honnouji academy, one of Japan's most prestigious combat schools, where how well you fare in combat determines your way of life and social standing in the city. Ryuko only has one goal going into Honnouji, to find out about the scissor blade, a weapon that her deceased father left behind. Upon reaching there she is beat up by their Goku uniforms, weapons that are made to strengthen the human body based on life fibers, a strengthening thread from within their uniforms. Cursing her own weakness, she leaves to her old home, where she falls into a secret trap hole. There, she gets ambushed by a living school uniform, which consumes her, drinks her blood, and says that he will give her power. With her new uniform, she goes back to Honnouji and defeats her foes. It becomes known that the uniform she wears is known as a Kamui, a special uniform developed to have a massive amount of life fibers in it. 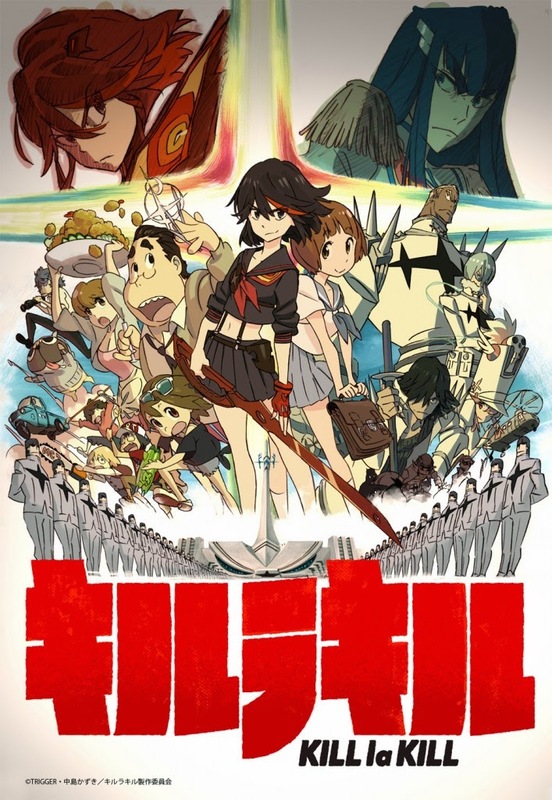 With her new Kamui, which she calls Senketsu, and her best friend in school Mako, Ryuko aims for the top, the student council president, Kiryuuin Satsuki, in hope for the answers that she seeks. "Kill La Kill" isn't one of the best shows I've seen in awhile, its just one of the most ENTERTAINING. It certainly has some of the best fight scenes in anime history, but not much beyond that. The impressive visual style also adds to the fun factor, and everything else is just icing on top of the cake. Just prepare some popcorn, because you'll be glued to your seat.